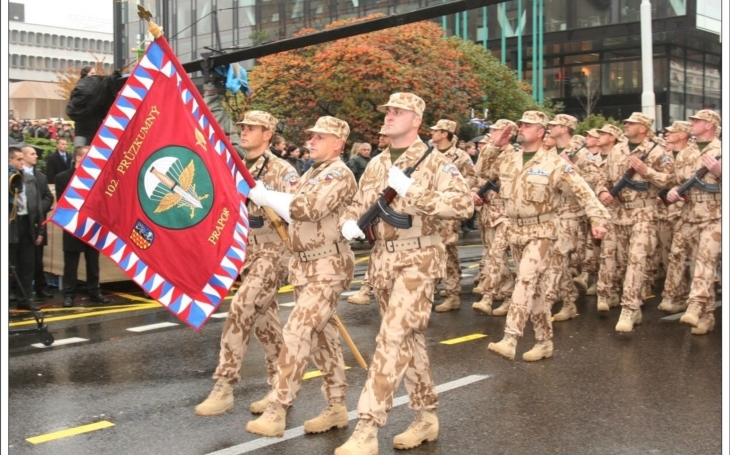 A press conference held by the Ministry of Defence revealed details concerning the Parade 2018, an event prepared for the 28th October 2018, National Day, the centenary of the foundation of independent Czechoslovakia: 4357 men and women of different service branches, and 236 vehicles will take part. The parade will take place on 28th October at 2 p.m. on Evropská třída, Prague 6. At the same time, public can visit static displays of military, police and rescue vehicles, fire engines, equipment, on Letná Plain. The plans were presented by the Deputy Chief of General Staff Lieutenant General Jiří Baloun, Police President Major General Tomáš Tuhý, General Director of the Integrated Rescue System (IRS) Major General Drahoslav Ryba, and other representatives of the participating institutions. All arms of the Czech Army will be present. According to Lieutenant General Baloun the public will have the opportunity to spectate the best the army can offer. Together with the Integrated Rescue System, there will be 4357 men and women of different service branches, and 236 vehicles at the parade. Including JAS-39 fighter jets, L-159 light attack jets, T-72M4CZ main battle tank, IVECO light armoured vehicles, Pandur wheeled infantry fighting vehicles, army and police helicopters, etc. The static displays on Letná will be open from Friday 26th till Sunday 28th October (8 a.m. – 18 p.m.), and will include, besides modern equipment and vehicles of the Army and different parts of the IRS and Custom Administration or Municipal Police historical vehicles to present an overview of the entire period 1918-2018: all together there will be 153 vehicles displayed. An accompanying program is being prepared by the Prague 6 district on Dejvická třída (a link between Evropská and Vítězné náměstí), with music bands and an exposition dedicated to the centenary of Czechoslovakia, organized by Prague 6 together with the Military History Institute Prague.